General Studies (GS) & Engineering Aptitude carries significant importance, and cannot be left for last minute preparation in ESE. 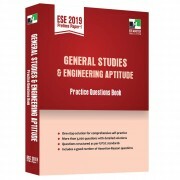 IES Master books on General Studies are tailored to the psyche of engineering students aspiring for UPSC ESE 2019 Prelims exam. The book General Studies & Engineering Aptitude Practice Questions Book is a complete book tailor-made for students from all the core engineering streams preparing for ESE 2019 Prelims (Paper-1). With more than 3,000 questions for self-practice, the book is an outcome of years of research by subject experts, analysis and study compiled in the form of a book. 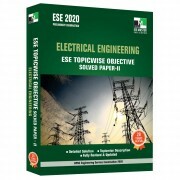 ESE 2019 Prelims aspirants can practice the questions as per their convenience, and determine their preparation level with the help of detailed solution to questions provided in this book. IES Master Publication makes sure that all its books are fully revised and updated annually so that every year students get the best ESE reference books. All the questions are as per UPSC pattern and include assertion and reasoning also.